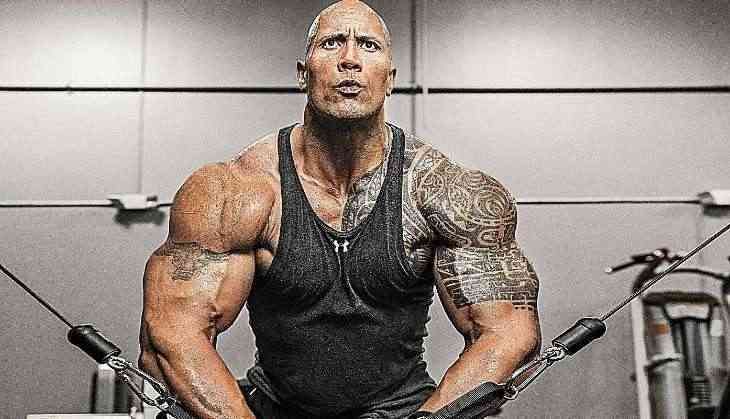 Hollywood star Dwayne 'The Rock' Johnson has been roped in to play the Hawaiian King Kamehameha in 'The King'. Also known as Kamehameha the Great, he is known as the founder and first ruler of the kingdom of Hawaii, uniting the warring islands, reported The Hollywood Reporter. The Robert Zemeckis directorial is a historical epic based on the true-life story of Kamehameha, whose statue given to the National Statuary Hall Collection in Washington D.C. by the state of Hawaii as one of two statues it is entitled to give. Johnson had been eyeing the movie for quite some time and decided to move forward while filming in Hawaii of his hit comedy 'Jumanji: Welcome to the Jungle', reported Variety. The Rock will also produce the flick through his Seven Bucks Productions Company, along with Dany Garcia and Hiram Garcia. Zemeckis is also producing with Beau Flynn through FlynnPictureCo while Wendy Jacobson will executive produce. The studio plans to shoot the film in 2020. Johnson was last seen in thriller 'Skyscraper' and is filming adventure-drama 'Jungle Crusie' which is slated to hit theatres in October, next year.